"Tailored solutions in tune with your needs and the needs of those you care about"
Darrell specializes in assisting business owners, retirees, and professionals to accumulate and preserve wealth. He develops each portfolio one investment at a time, incorporating a client’s financial objectives, risk tolerance, estate planning needs and tax considerations. 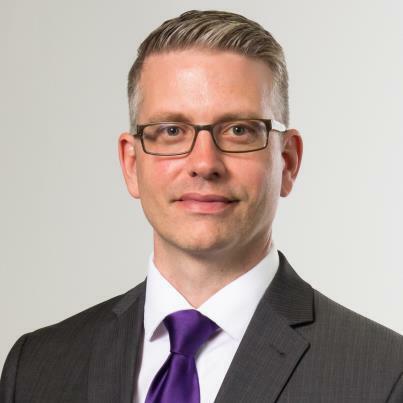 Darrell earned a Bachelor of Commerce from the University of Saskatchewan and holds the Chartered Investment Manager, Certified Financial Planner, Financial Management Advisor, and Fellow of the Canadian Securities Institute designations. He formerly served on the Manitoba Board of the Investment Industry Regulatory Organization of Canada (IIROC). Raised in rural Saskatchewan, Darrell maintains strong connections to his roots. He resides with his family on his acreage near Teulon, MB. In his spare time, Darrell volunteers as a coach for a basketball team and keeps very active with his two sons’ sports and extracurricular activities. Bieber Gebhardt Wealth Advisory Group is a part of TD Wealth Private Investment Advice, a division of TD Waterhouse Canada Inc. which is a subsidiary of The Toronto-Dominion Bank.